It’s amazing how far an idea can go. It’s 2012, and Esk’etemc chief Fred Robbins is carrying a vision. The vision is to allow space for the reconciling of the residential school legacy, by bringing together First Nations and Non-First Nations people. He envisions a project commemorating those affected by residential schools, along with a chance to further understanding of the impacts that history and intergenerational trauma has had on First Nations people. He begins reaching out to and working with local governments, the school district, and First Nations leaders, and accesses a grant from the Truth and Reconciliation Commission, setting the wheels in motion for a project that would become the “St Josephs Mission Residential School Commemorative Project” of May 2013. Fred Robbins is a residential school survivor himself, having attended St Josephs Mission from 1973 to 1981. He experienced first-hand the impacts of the systems of the day. 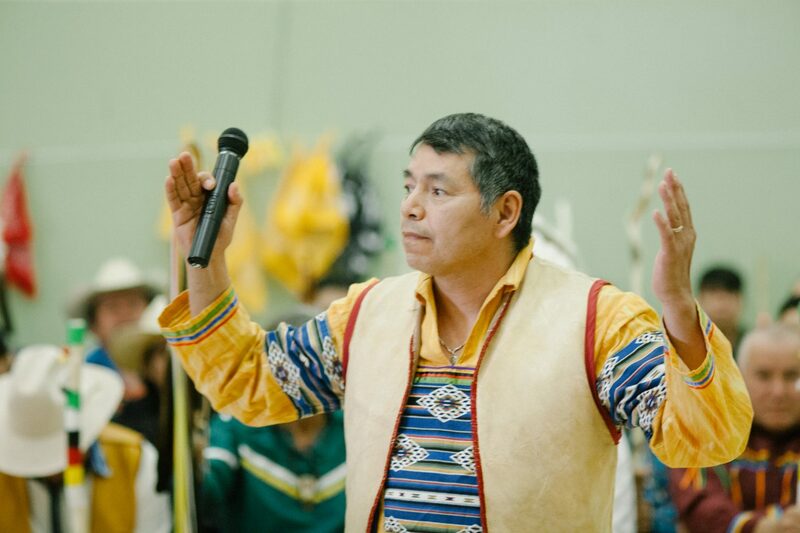 He also understands the ongoing generational impacts today, and the barriers existing between Indigenous and Non-Indigenous people – he says: “my big picture, or pie in the sky approach is to develop a working relationship, built on the recognition of our histories”, noting that municipal governments participation in the project is key. 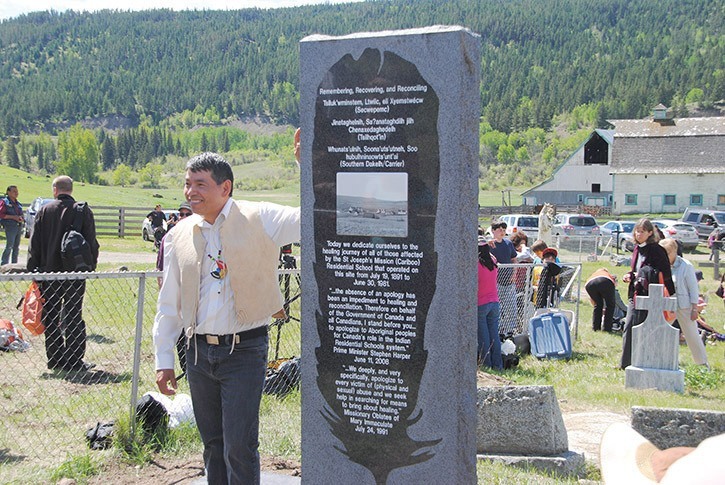 In May 2013, the Commemoration Project takes place in Williams Lake. 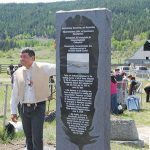 A monument with the words “Remembering, Recovering, Reconciling” (in the Indigenous languages of the children who attended St. Josephs Mission: Secwepemctsin, Tsilhqotin and Dakelh) is unveiled at the old school site at Sugar Cane, and another one is unveiled at Boitanio Park in Williams Lake. The project involves workshops, youth film showing, public events and seminars. Stories were shared by survivors. Phyllis Webstad shared her story of having her orange shirt taken away, and what the experience of residential school did to her – and this powerful story was noted by the Cariboo Regional District, who declared Sept 30 as annual Orange Shirt Day, in honour of Phylllis’ story and in recognition of the ongoing need to reconcile a shared history, for the benefit of all. Orange Shirt Day has grown into a national day of recognizing and remembering residential school legacies and the impacts suffered both then and now. We are grateful, Kukpi7 Fred, for your dedication to your vision, making space for Orange Shirt Day to happen - along with your dedication to relationship building on this shared journey that is going far beyond reconciliation.